Don’t miss the oldest music festival in Italy! If you’re planning a trip to Italy before 13 July, you’re in luck! From 5 May to 13 July, Florence throws one of its major music events: Maggio Musicale Fiorentino. Check out the programme and buy your tickets before they sell out! Maggio Musicale Fiorentino is a renowned opera festival. In fact, it’s the oldest music festival in Italy and the second-oldest in Europe, after the Salzburg Festival, in Austria. The festival was founded by Italian composer and conductor Vittorio Gui in April 1933, who wanted to bring the top operas to the general public. He achieved his goal, although in recent years the festival has broadened its scope to include other genres of music and even dance. This year it celebrates its 81st edition, full of classic and contemporary pieces performed at different theatres and other spaces throughout Florence, including the Teatro del Maggio Musicale Fiorentino, Santa Maria del Fiore, Grotta del Buontalenti, Piazza Vittorio Gui, Auditorium CTO, Teatro Goldoni… Check out the full programme and buy tickets before they sell out! If you’re still not convinced, during the festival, the streets of Florence come alive like at no other time of year! There are musical processions, film screenings, meetings with artists, book and record launches and popular off-festival concerts. 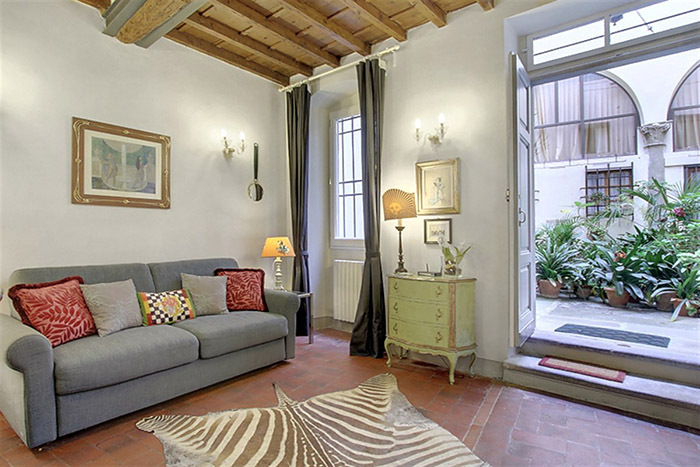 If you don’t know where to sleep in Florence during the festival, we recommend staying in one of our central, comfortable, fully equipped and reasonably priced apartments. Don’t miss the chance to see Florence by attending a unique festival. If you have enough time, read our guide of what to see in Florence and explore the city to the full. Buon viaggio!